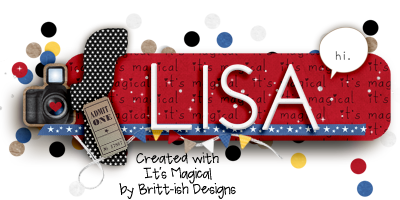 Template: Mad For The Mouse "Magical Templates Vol 1 Temp 1"
Kit: Kelly Bell "Sweet Land of Liberty"
Love that you have photos of the Flag Retreat! My favorite parts of the layout are the flag banner (cute) and the little Hidden Mickey! Beautiful tribute. I love how you summarized the program. I liked the inner frame on the photos. Rocked those shadows, girl! I love that banner. Great journaling too. All around just a beautiful page.